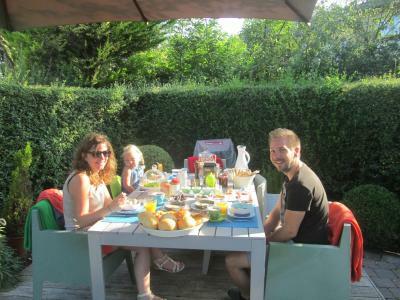 Lock in a great price for B&B Huize Van Damme – rated 9.8 by recent guests! Very friendly welcome, lovely people to stay with. Excellent room and bathroom, better than many hotels. Breakfast was much and varied. Little extras appreciated like the drinks fridge. Nice big room with plenty of facilities, certainly not lacking in any area, and very comfortable! 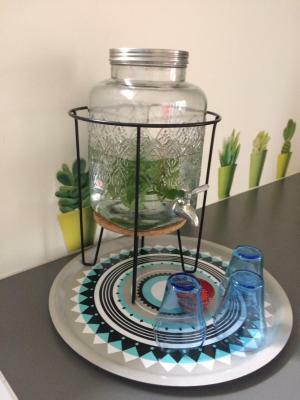 The hosts were extremely friendly and helpful, the room was comfy and very, very clean. The breakfast was huge, fresh with loads of options to choose from. Overall a fantastic place to stay. Warm welcome and everything done to make our 3year old granddaughter comfortable and happy. Beautifully designed and furnished accommodation. Zeer gastvrije eigenaars. Je voelt je erg welkom. Een aanrader. Supervriendelijke eigenaars. Heel goede service en ontbijt. Ann est une hôte extraordinaire. Elle est attentive aux différentes attentes et son petit déjeuner est gargantuesque. 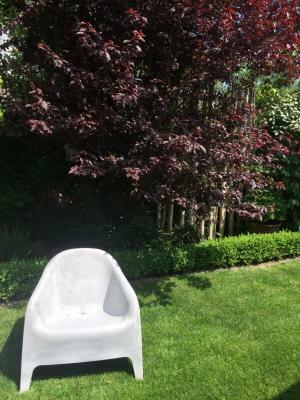 One of our best sellers in Nieuwpoort! 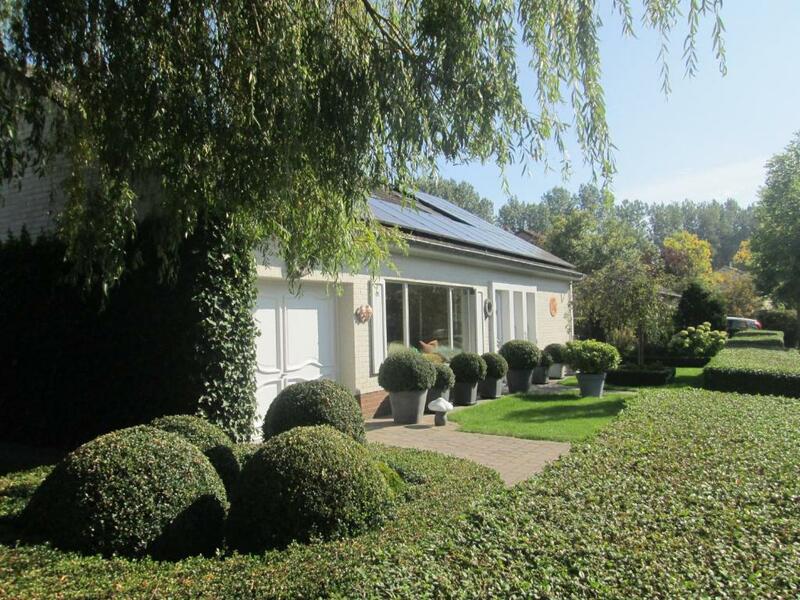 A 20-minute walk from the sandy beach and the North Sea Shore in Nieuwpoort, you can find B&B Huize Van Damme. 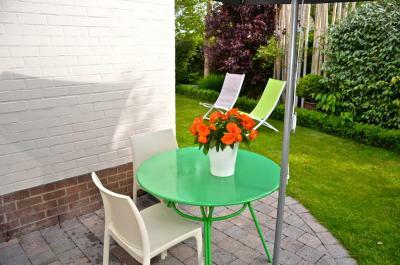 This bed and breakfast includes a private garden with a terrace and guests can make use of 2 bicycles free of charge. A flat-screen TV with cable channels and a seating area are fitted in the garden-view suite at the Huize Van Damme. A refrigerator is provided. The unit’s private bathroom comes with a shower, a hairdryer and free toiletries. 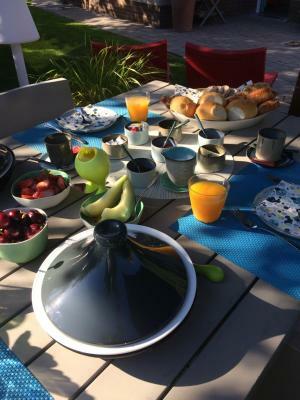 The property serves a freshly prepared breakfast every morning. When the weather is nice, you can enjoy a drink at the garden terrace. A choice of restaurants, bars and sandwich shops is available within a 10-minute walk. 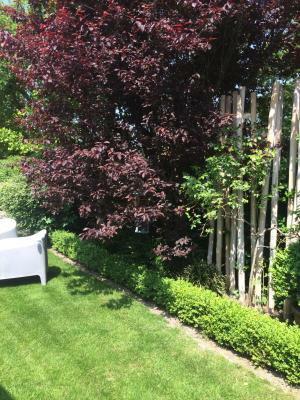 Guests can benefit from free on-site private parking at B&B Huize Van Damme. The nearest bus stop is 350 feet away, while the closest coast tram stop is 2,650 feet from the accommodations. From there, you can visit Ostend, Knokke and other seaside cities. The area around the property is fit for biking and walking. Guests who are staying for at least 2 nights at B&B Huize Van Damme can also benefit from the property's beach house, which comes with 2 lounge chairs and a wind screen. When would you like to stay at B&B Huize Van Damme? This suite offers a seating area with a flat-screen TV, a refrigerator and a bathroom with a shower. It also features air-conditioning. 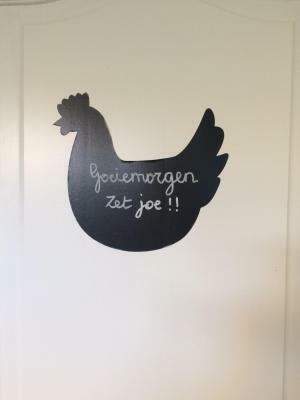 House Rules B&B Huize Van Damme takes special requests – add in the next step! 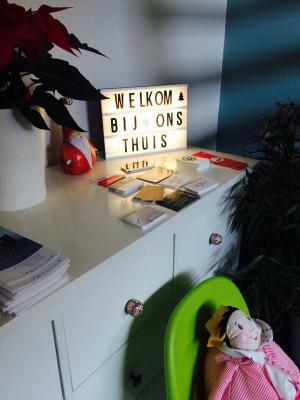 Guests are kindly requested to inform the B&B about the number of children before arrival at the property. You can use the Special Requests box when booking, or contact the property directly with the contact details provided in your confirmation. Please note no baby cots are available, guests may bring their own. Please note that guests who plan to arrive after 15:00 are required to contact the B&B by email or telephone at least 1 hour prior to their arrival. Please inform B&B Huize Van Damme of your expected arrival time in advance. You can use the Special Requests box when booking, or contact the property directly using the contact details in your confirmation. Unfortunately my partner is quite tall it took him a few knocks to the head to remember to duck!! I wouldn't say we "didn't like" them, but the stairs could be a problem for an infirmed or more elderly person. They were fine for us though. Also there are a lot of beams in the room, so you needed to be a little careful when walking into the eves, but again not a real problem. Both of these didn't distract from a great stay at this property.